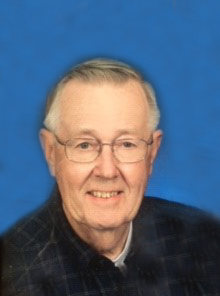 LeMoine R. Larson, age 87, of Litchfield died on Saturday, November 17, 2018 at the Meeker Memorial Hospital in Litchfield. A funeral service will be held at 1:00 PM on Monday, November 26, 2018 at Johnson-Hagglund Funeral and Cremation Service in Litchfield. Visitation will be one hour prior to the service. Burial will be in the Ripley Cemetery in Litchfield. LeMoine Richard Larson, the son of Louis and Clara (Ditlevson) Larson, was born on November 1, 1931 in Litchfield. He grew up in Grove City and graduated from Grove City High School. He continued his education at Dunwoody. After his schooling he began working at Honeywell as an Aeronautic Technician and lived in St. Louis Park. While working at Honeywell Lee was invited to represent Minnesota to NASA to witness one of the first space shuttle launches. On February 3, 1968 LeMoine was married to Peggy Blettner. They continued to live in St. Louis Park and after retirement they wintered in Arizona. They moved to a lake home on lake Minnie Belle and continued wintering in Sun City, AZ until 2012 when they lived at the lake year round. They moved in to Litchfield in 2016 and resided at Emmaus Place. He enjoyed fishing, hunting, woodworking and yard work. He was very good at fixing electronics. He and Peggy liked traveling and especially enjoyed their trip to Norway. He is survived by his wife Peggy Larson of Litchfield, step-children Barbara Offord of Stillwater, James Blettner and Steve Blettner of Two Harbors; brothers-in-law Art Olson of Litchfield and Gaylord Fagerland of Moorhead; grandchildren. Jennifer and Bob, Taylor, Jacob, Joshua, David and Heidi, Maggie, Will, Robbie, Stacy, Kristina, Jannelle and Eric, Stephanie, Mollie; nieces, nephews, great nieces and nephews and other extended family. He was preceded in death by his parents and sisters Marilyn Olson, Marjorie Larson and Marlene Fagerland.